This is the ninth in a new series by shop regular, Chris Haas, The Book & Brew Review. Faithful readers (or reader…), I have grown lazy. It has been quite some time since my last post. Originally, I intended to do one of these every other week but it seems I have slipped up a bit. Here’s to remedying that situation. 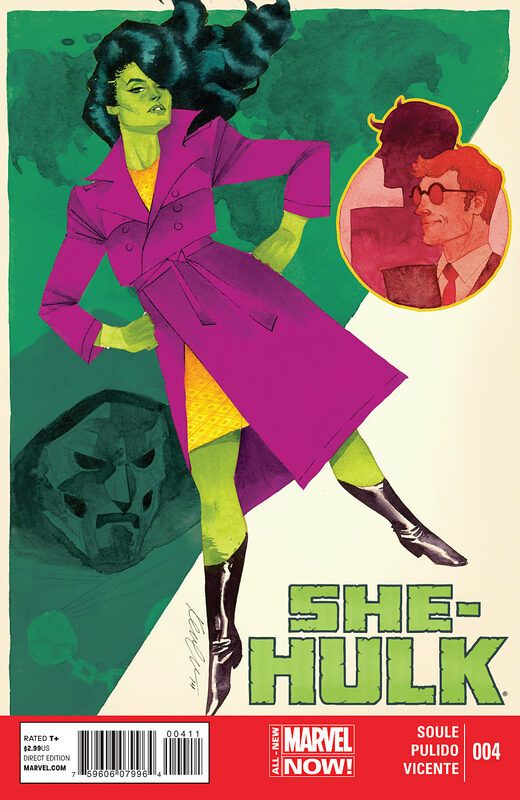 Kevin Wada has been supplying the covers for this new series involving the green hulking lady who happens to practice law on the side. And I truly hope it stays that way. The colors are so bright; they explode off the page, especially with using a slightly darker green as the background. The clever way he draws Matt Murdock’s shadow with the horns makes me smile. Another aspect I enjoy is how sharp he draws the characters. Look at how everything comes to that point, whether it is her jacket or her hair. Matt Murdock’s shoulder is practically a right angle. It can come off as very cartoony but I do love this approach. Speaking earlier of how She-Hulk is a lawyer on the side, it is quite refreshing that this comic actually focuses more attention on her legal issues rather than the usual fighting and action a superhero tends to get involved in. Kudos to Marvel for another series that is female driven and quite well written. Here’s the plan. The next time I visit a beer store, if they sell custom six packs, I will try my best to find every Rye beer they have. It’s become a little obsession at the moment. Up until recently, I had not had the privilege, but now, I will do my best to make up for lost time. It’s such a new flavor to me. I love that the rye smell is so strong. I would almost think that I had rye bread sitting in front of me, ready to consume. But alas, just beer. I’m just kidding about that “just beer” line. Blasphemy. As an IPA, I recommend to anyone. It is not overly hoppy. There’s a tropical fruitiness that works well with the rye flavor. As I said earlier, this type of brew is a new favorite and I look forward to having it again. 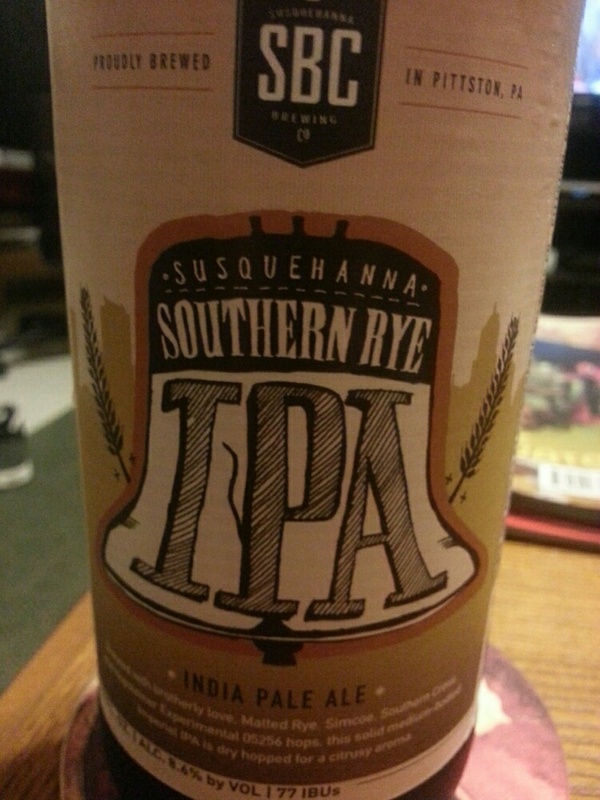 Honorable mention goes to Susquehanna Brewing Company, another new brewery for yours truly. I found it surprising that the beer ABV was 8.6%. Sneaky in its alcohol content, the smell and flavor are well worth the low price I paid at CJ’s Doghouse in Lansdale, PA (random plug). Before checking out, I would also like to recommend Triumph Brewery and the rye beer they produce. They’ve developed a much stronger flavor if you happen to be looking for that. Rye beer geeking has commenced. Picks & Reviews Book & Brew Review. permalink.